Mike Tyson fought fifty-eight times in his twenty-year career. Chances are, you only remember a handful of those fights. Chances are even better that his bout against Michael Spinks on June 27, 1988, is one of them. History blessed this night with an audacious moment that should have granted it pop culture immortality, but sports got in the way: It took Tyson just eight punches over ninety-one seconds to obliterate a tentative and terrified and previously undefeated Spinks in one of the fastest heavyweight title fight KOs ever. But the real story occurred minutes before the round-one bell: Tyson’s ring entrance, the slow spectacle squeezed into every big boxing event, was a masterpiece. The ring entrance is a curious ritual, saved for boxing’s biggest bouts. It’s a necessary but forgettable part of the vaudevillian stagecraft behind multi-million-dollar sports entertainment. The weigh-in ceremony, the ring entrance, and the pre-fight face-to-face transmogrify the brutality of the ring into a Hollywood-style narrative of two titans, two half-gods, locked in glorious battle. Without these little performances, the audience might realize that it’s paid a lot of good money just to watch two regular dudes punch each other. Google the best ring entrances in boxing, and you will see a range of spectacle. On one end, extravagant fighters wink at the audience, making a wry joke out of the whole scene; success is measured by the audacity of the joke. The most obvious and hilarious example was when Prince Naseem Hamed flew a magic carpet on a cloud of stage smoke into the ring. (He won, by the way.) On the other end, you have every boxer who has ever played LL Cool J’s “Mama Said Knock You Out” and stormed to the ring with a pumped-up entourage. The explicit point is always the same: This person is tough. Somehow, though, Mike Tyson discovered a third option: a fully conceived piece of performance art. At the time, Tyson was an ascending force in the world of professional boxing. He was the youngest heavyweight champion in history, quickly collecting thirty KOs in his first three years as a pro. 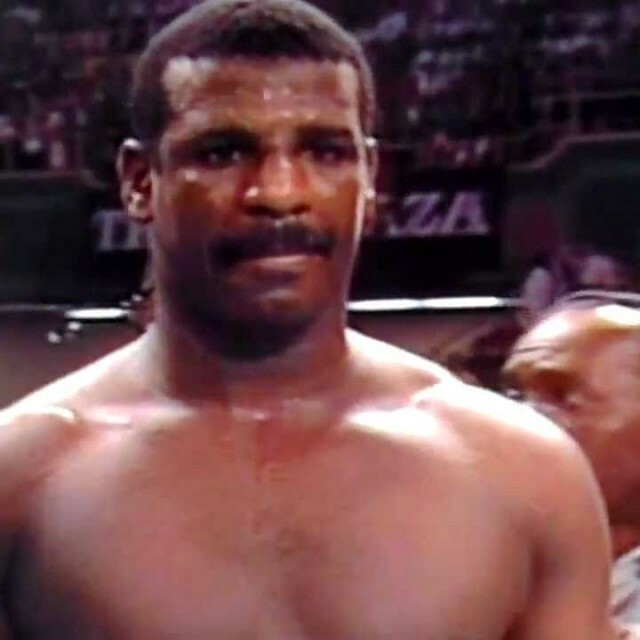 But Michael Spinks presented a serious challenge: He was also undefeated, and a heavyweight champion in his own right. The promoter angle for the fight was “once and for all,” with the winner becoming the undisputed heavyweight champion. So Tyson couldn’t just defeat Spinks — he had to destroy him. Spinks came to the ring first, in a white robe, to a song that Kenny Loggins wrote after visiting his father in the hospital. Loggins once described it as “not a love song, it’s a life song.” Considering the context of the fight, the track is mildly alarming in its sentiment: “Make no mistake where you are / You’re back’s to the corner.” But it’s of a piece with the desperate energy Spinks seemed to be channeling to compel his body to withstand the awesome power of Tyson. After he made it to the ring, Spinks hopped and paced and bowed to the crowd from his corner. Muhammad Ali, wearing in a business suit, leaned into Spinks for some last minute encouragement. Coil were, in other words, the perfect band with the perfect song for Tyson’s performance, flaunting his own raw and dissonant rage and power. He wasn’t saying, like most boxers, “check out how awesome I am.” He was saying “I don’t know karate, but I do know ka-Razy.” It was a terrifying spectacle, a twisted accomplishment. It was show, don’t tell. It was art. The next time someone brings up Tyson vs Spinks, set everyone straight when they start talking about the ninety-one second knockout, because Tyson did something way more meaningful that night with his mind than he did with his fists. Matthew Chmiel works at the design agency Code and Theory.